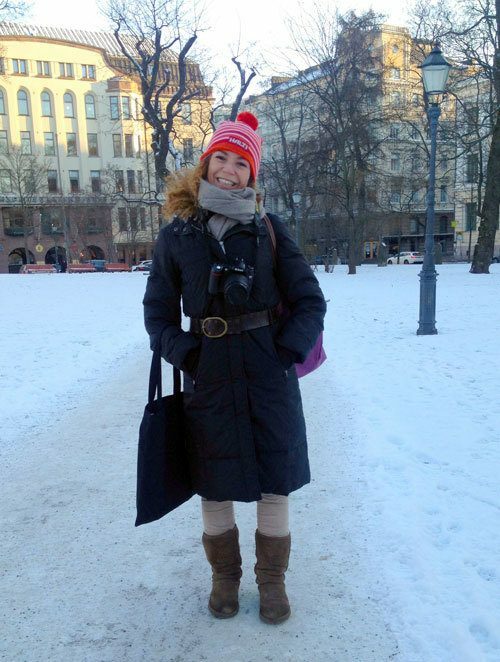 Can I tell the story of my home country Finland… when all I wanted was to leave? 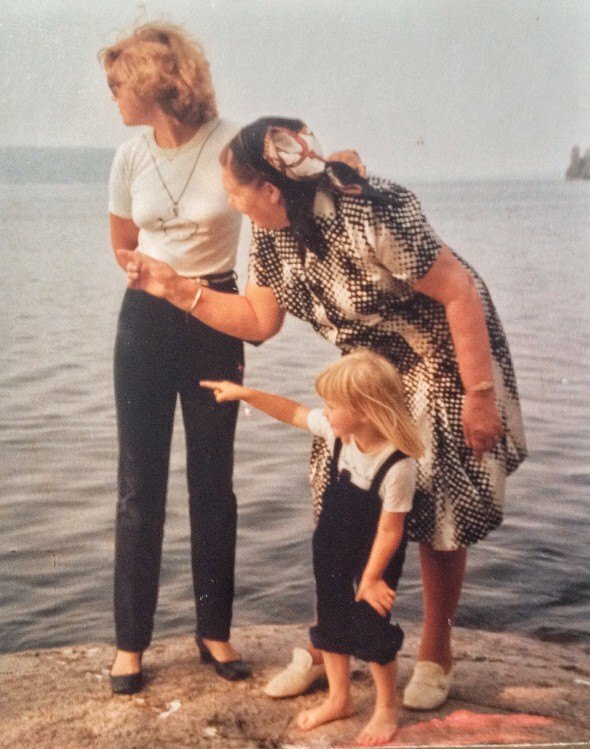 Me as a child with my aunt and grandmother… pointing out to the sea, probably telling I wanted to go to the other side. How can you tell the story of Finland, when all you wanted was to leave Finland? I visited my home country Finland for the first time last month as a travel journalist on a trip that was organized as part of Matka trade show, and I was part of the Nordic Bloggers’ Experience. Inna-Pirjetta Lahti of Innastus agency organized a world class event for international travel bloggers. It was sort of an emotional trip as I watched an international travel blogger crew (many of my dear friends), to visit my home country (many for the first time) and fall in love with it. Above all, Finland impressed me in the ways I was not expecting, and as I was boarding my Finnair flight at the Helsinki airport to fly back home, I couldn’t help myself but feel sad to leave. Ironically, it was at the very same airport, that I had longed so many times just to leave Finland. I didn’t travel much as a child, but visited the airport often with my dad, picking up and taking my aunt back to the airport as she was visiting us. My aunt Eira worked as a flight attendant for Lufthansa for over 30 years, and lived in Germany. 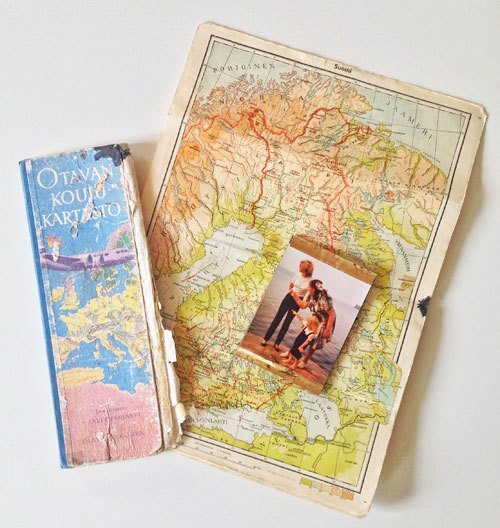 Her postcards took me around the world, and I followed each week where in the world she was from her hand-written work schedule pinned onto my grandmother’s wall. The treasures she brought me, including the miniature hotel soaps and shampoos, and the business class toiletry bags became my priced possessions, among with her school map book from 1955, that already had been loved to pieces by her. After living in 4 countries, and moving an average of every two years, I still carry that map book with me. To me my aunt was living the life, but just the trips to the Helsinki airport were magical to me. I listened to my aunt’s stories from Bangkok to New York City and watched her plane to take off from the large windows of the Helsinki airport, longing to leave Finland and travel one day too. Fast forward several years… and I realized that there are those rare moments in life when you know that if you do something, your life will never be the same. I had one of those at the Helsinki airport in 1998 as I was boarding on my flight to New York City. I was leaving to the USA for the first time, to spend 3 months with my then-boyfriend, now-husband. It was right around the time of the Nagano Olympics, and I think of it every time during the Winter Games. The plane I was about to take to New York was hours late arriving from Nagano, and I sat and waited at the airport with my parents. I had never been that nervous in my life and by that time I had already traveled a bit. My parents didn’t understand why I was so nervous about the flight, and leaving. were my exact words to my parents. As much as I wanted to see the world, and spend the rest of my life with the love of my life, one of the hardest things I have ever done was to board on that plane knowing that it meant leaving my country, and my family behind. I know it sounds dramatic, it’s not like I couldn’t cross the borders or never come back if I wanted to. But the reality of life as it was, I knew my life might not include even annual visits back to Finland, and it always hasn’t. (I got engaged one week after boarding on that flight). 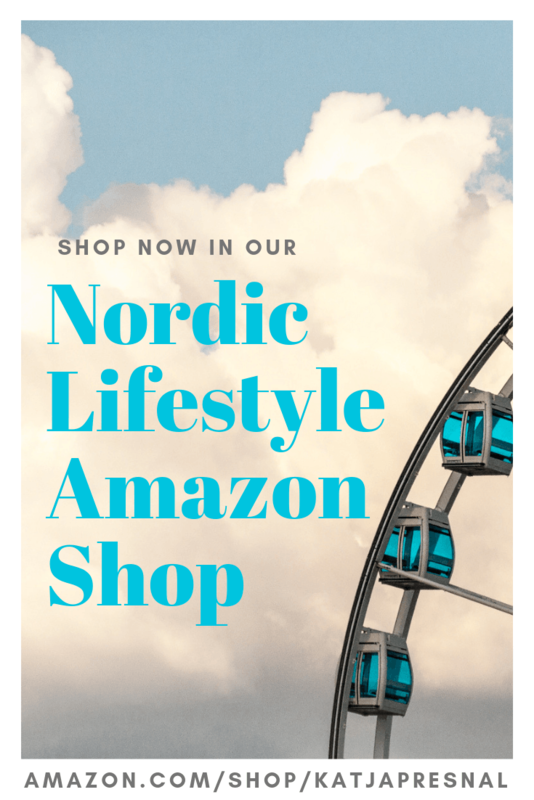 Many Skimbaco Lifestyle’s loyal readers the past 7 years have contacted me privately and asked for travel tips to Finland, and it has been amazing to see old and new friends to visit Finland for the first time throughout the years. I haven’t lived in Finland for over 16 years, and a lot has changed during that time. My visits back home have always been focused on visiting my family, or quick business trips, with no time to explore, and I have barely published any travel stories from Finland throughout the years. I was hoping a change for this when we moved to Sweden two years ago, but the years have gone by very fast, and I would have deeply insulted my family in Finland, if during our vacations to Finland I would have also worked. 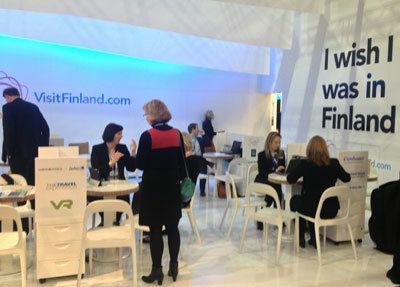 I met with a representative of Visit Finland, the tourism board of Finland, a year and a half ago in a travel trade show in London, and said I would love to visit Finland in a professional capacity and work together with Visit Finland to promote the country I call home. My enthusiastic “how can I help you” was met with an array of reasons why Skimbaco Lifestyle and I personally are not the venue Visit Finland wants to work with. I was told Finland’s largest target market is “educated humanists” and “non-Americans” (as 60% of our half a million unique annual readers come from the USA). I was also told, that they have never thought that Finns could be able to tell the story of Finland authentically from the tourism point of view. Irony is thick here: the person telling me this was a Finn working for Visit Finland. I was insulted from the notion that I, who dearly loved my country and had for years promoted many things from Finland, am not a good enough person to tell the story about my country. Yes, I took it very personally, especially knowing how much I had already communicated about Finland throughout the past several years, even if it hadn’t been from the tourism point of view. Pictured: my Italian friend Francesca of Viaggiare da Soli blog. It wasn’t until I was attending the Nordic Bloggers’ Experience and saw the other bloggers’ reactions and read their posts about Finland, that I somewhat started understanding that maybe I am not the perfect person to describe how it feels to jump into the ice cold water directly from sauna for the first time ever during winter. Maybe I can not tell a highlight how driving a snowmobile in the -23C weather feels when you have never even experienced ice cold weather before. Maybe I can not tell how Finnish language sounds to my ears as a foreigner. Maybe I can not describe how it is to travel in Finland without speaking the language at all. Maybe I can not even tell how the odd foods taste for the first time. Yes, there are a lot of things that I can not tell from the perspective of “I tried this the for first time in Finland.” I can not also write the post “I would have never visited Finland, unless I was invited on a press trip” as I saw last year when Visit Finland did team up with a small number of travel bloggers for free trips. When it comes to telling the authentic travel stories, both are needed. The “first time” reaction to something new and exciting, but also the solid understanding of culture, history and people in the destination. I took the Nordic Bloggers’ Experience as a very positive sign for the tourism of Finland, and hope that this new direction will help more people to find this very exotic destination. I am also thankful, that I was invited for the trip, regardless of my nationality. As far as I know, Skimbaco’s Satu Vänskä-Westgarth and myself were the only expatriate Finns that were invited to be part of the experience. I think some of the perfect ambassadors for Finland are, in fact, the expats who live around the world and spread the positive word about our country on a daily basis. We have the first-hand knowledge of our country, but also understand other cultures and how people from other countries may see our country. We also bring numerous new tourists a year to meet our home country for the first time. We all may have wanted to see the rest of the world too, but Finland was always our first love. I look forward keeping sharing my view, and my love, of Finland. Funny how we see home in a much different light than others do at times. I am from New York and to me it is just a big busy home but every time I meet someone abroad their eyes just light up when I say New York. Home is where the heart is, but the heart is not always home I like to say. A beautiful post, Katja! I feel somewhat similar about my home country of Australia, although now I live here again – but I rarely write about it. 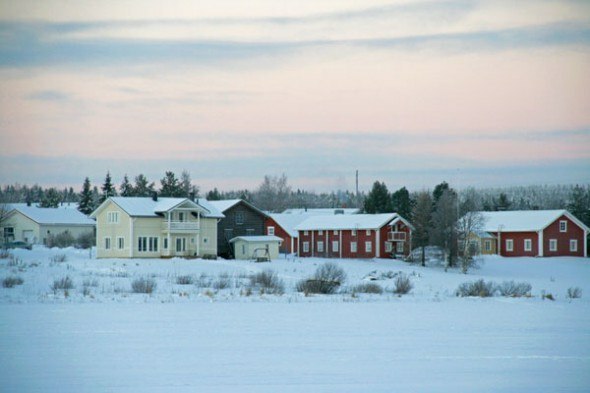 As for Finland, I had a Christmas trip there a few years back and adored it – a place I will definitely return. If only it was just a little closer to Australia though?! My sister, Wendy, just suggested Finland for a sisters’ trip in 2015. We’re both from the US and would love to have the inside story from people who live and love Finland. I can buy lots of travel books and go to the Visit Finland website, but we all know the magic of a new place can only be experienced with the advice of locals. I’m glad you’ll be writing about the other side of the coin and I’ll be following. What a beautiful, raw post, Katja, and such an interesting perspective. 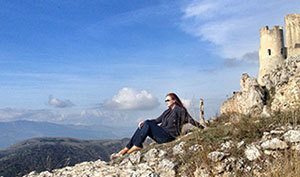 Perhaps that is what makes travel and lifestyle blogs such as this one so special. It’s all about perspective. I loved this post Katja. It is so interesting to me how we all tell different stories about the places we call home and the places we visit. I think everyone’s perspective is important and I love they all come together to create a picture of a place that others want to visit. And of course, when we visit somewhere, our own experience is unique to us. I did enjoy seeing all the photos this year from Finland and would love to visit one day! I look forward to hearing more about your home country, friend! I would love to travel with you to Finland and see it through your eyes. What a truly interesting perspective. I can not imagine anyone other than YOU representing Finland to the blogosphere. I miss traveling a lot, but I also look forward to being able to do it more with my son when he is older. Your travel posts are always so helpful and inspiring. Excellent post, Katja. As someone who has lived in over 20 places across the country, my hometown and state will always hold a special place in my heart and, I agree, leaving does give you a different (and useful) perspective from someone who has always been immersed in it. I’ve always wanted to explore that entire region of the world. It’s still my top pick for travel choices. And I promise I will! I hope someday I’ll be able to visit- with you! That would be fantastic Naomi! Love it. Yeah it’s really weird that a local wouldn’t be the perfect ambassador of Finland as a tourist destination. I really enjoyed my time there. It’s my second winter in Finland so I hope I get to visit it this summer! Very interesting to read, Katja. And quite nice as well. It’s funny that Finland wouldn’t want the story of the country being told by Finns…seems like you’d be a natural ambassador (and already are!). Also I can’t help but relate it to Germany who frequently works with German bloggers to promote the country. I went to Finland (just Helsinki) for the first time last summer and really enjoyed it. The city seemed like a nice enough place for a weekend visit. I do think it’s a country most Americans don’t both traveling to, though. Not sure why! I love Helsinki, and hope to visit more, it’s just unfortunate how expensive it is. I think Americans just don’t know about Finland, that’s why it makes it difficult to even want to visit.